Jews and Medicine in America explores the close connection between Jewish heritage, the medical profession and American culture. 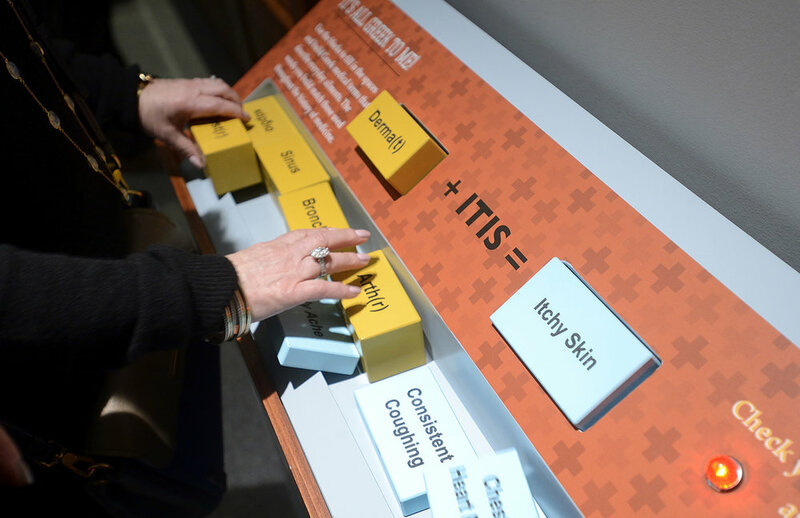 It encourages visitors to question their own ideals and understanding of how health and medicine has helped shape personal values and identity. 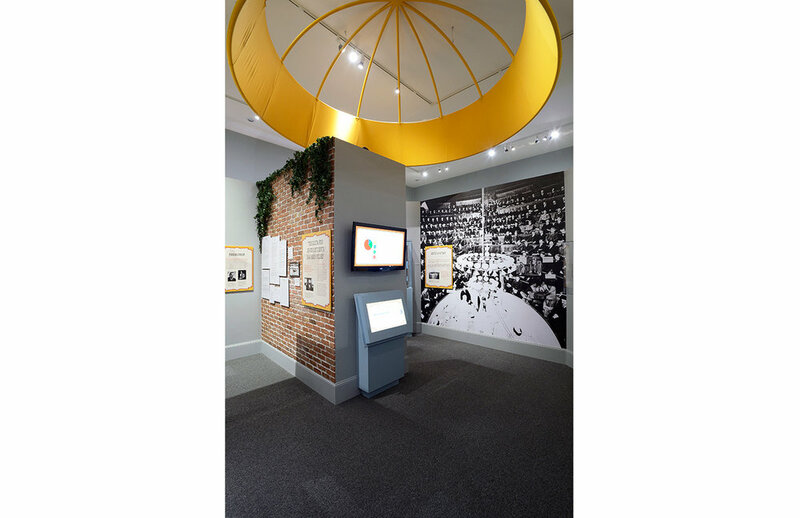 The exhibit features immersive environments, hands-on activities, multimedia presentations and more than 400 historic documents, images and artifacts. Each area encourages self-reflection and a deeper understanding of our relationship to medical care, as well as the profession’s cultural effect on the Jewish experience. 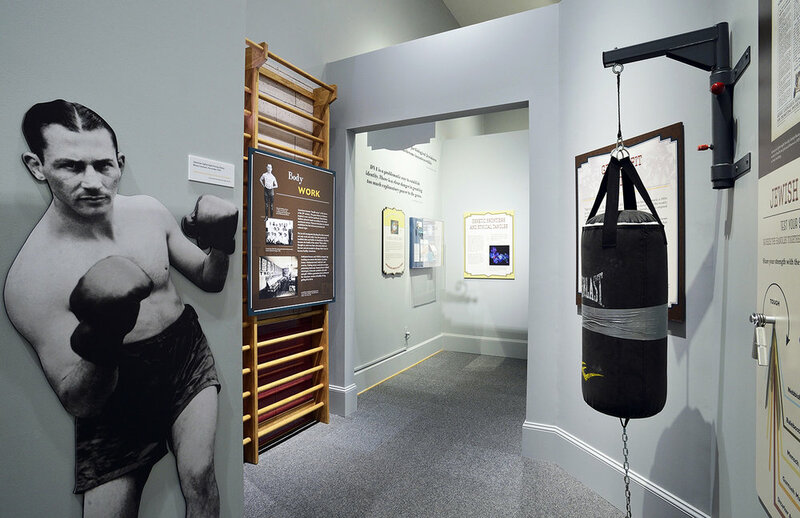 Visitor’s step into Morris Cooper’s pharmacy, peer inside Dr. Morris Abramovitz’s office, engage in laboratory experiments that explain inherited traits, and test their strength in a 20th c. gymnasium. A rich collection of original documents and manuscripts, some dating back to the 18th c., on loan from the National Library of Israel for the first time since 1943, are on display in cases that ensure their safe-keeping. 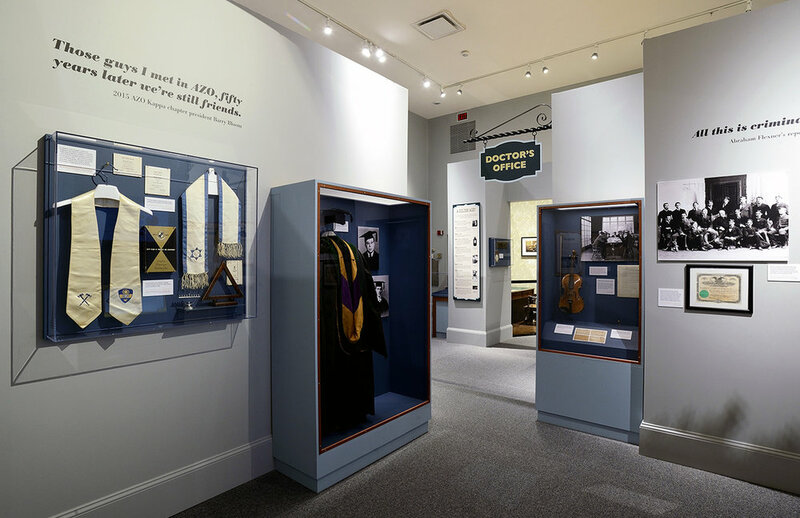 This temporary exhibition was designed for the Jewish Museum of Maryland’s 2,500 square foot gallery to subsequently travel to additional future venues.